These days, the first phase of construction of the new administration building was put into operation. The first section of the new administration building with three floors was built directly adjacent to the existing building with production and filling department. In the future, the production management and the work preparation with production planning and purchasing will be located on the ground floor. The first floor is occupied almost exclusively by sanitary and changing rooms. These rooms are directly connected to the hall area via a new corridor. The second floor contains offices of the laboratory. Binder for heavy duty stone carpets and color-quartz coverings indoors for layer thicknesses of 2 - 10 mm and as a sealant for scattered floor coverings with quartz sand or on surfaces sprinkled with color chips. 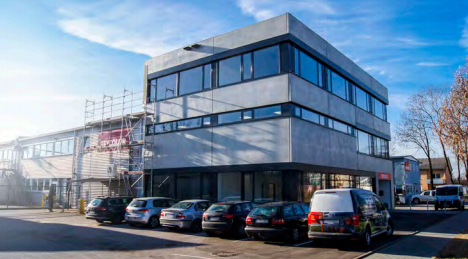 FEYCOLOR GmbH in Regensburg has been developing, producing and supplying a large part of the industrial and automotive paint products for the GRÄSOLIN Lackfabrik GmbH as a sister company for more than four years. Due to this cooperation, the decision was made that with the closure of GRÄSOLIN Lackfabrik GmbH as of 31.12.2018, FEYCOLOR GmbH will take over the direct support and delivery to the customers in the mentioned business areas from 01.01.2019. Solvent-free 2-pack EP cast resin for use in woodwork, in model and boat building, in mold making, for casting of e.g. jewelry, shells, etc. Ms. Gabriele Hein, owner of the Jakob Hein Lackfabrik in Walsdorf, decided to step down and hand over the industrial coatings business. FEYCOLOR GmbH has been developing, producing and supplying industrial products for Jakob Hein Lackfabrik for more than 15 years. From this situation, it is certainly no surprise that Ms. Hein has decided, to sell the Industrial Coatings sales division to FEYCOLOR GmbH on 30.06.2018. In the transition phase, Mr. and Mrs. Hein are supportive available. With FEYCOPUR 643 2K PU EG-ZB, the range of products approved according to Blatt 87 has been expanded to include the 2K PU intermediate coating. In December 2017, an audit provided proof that the requirements of ISO 9001: 2015 were met. The current certificate can be found here. Solvent-free, electrostatically conductive EP coating for hot spray application. Both products are suitable for internal coating and corrosion protection of tanks, containers, drip pans etc. made of steel, stainless steel and aluminum. For details about the products please check the relevant technical data sheets. Solvent-borne 1K zinc repair paint pigmented with zinc flakes, for the repair of the surface or defects of hot-dip galvanized workpieces e.g. during transport and assembly or for cold galvanizing of small parts. 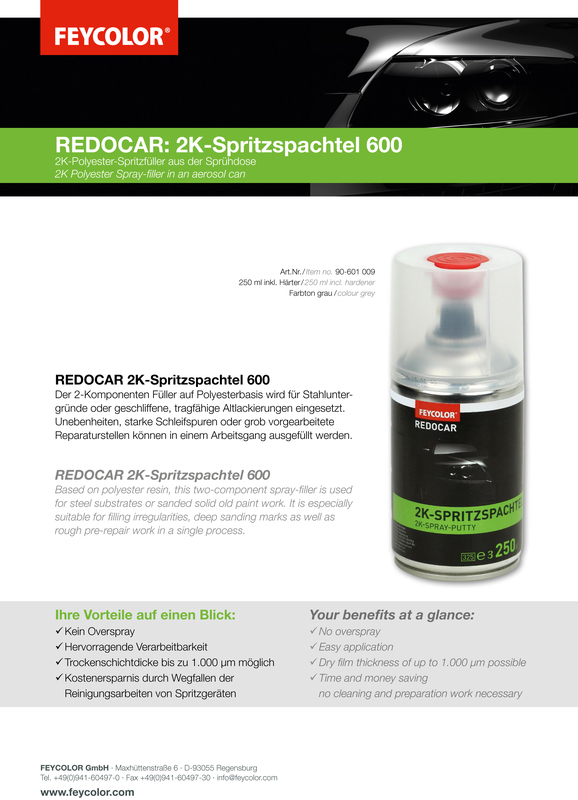 Packaging: 250 ml and 750 ml or as spray (aerosol) with 400 ml. In October the automatic system for the filling and labeling of cans with a filling volume of 250 - 5000 ml was put into operation. Thanks to multiple customer wishes, we expand our various information materials in the range of floor coating by our new brochure RELAFLOOR - Substrate and Preparation. Both products are developed for the use in machine and plant construction, in steel work as well as hydraulic steelwork, on pipes and in petro chemistry. For detailed information, please consult the referring Technical Datasheet. September is back "automechanika time". From 13 - 09/17/2016 the industry of automotive shows in all facets of their new developments and performance. Our certificated coating systems with a minimum of protection of 25 years can be found here. In the course of the accreditation of Blatt 87 our new corrosion protection brochure comes out concomitantly. 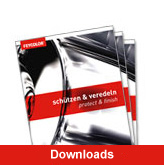 Beside our wide product range, you will find additional information about corrosion protection.